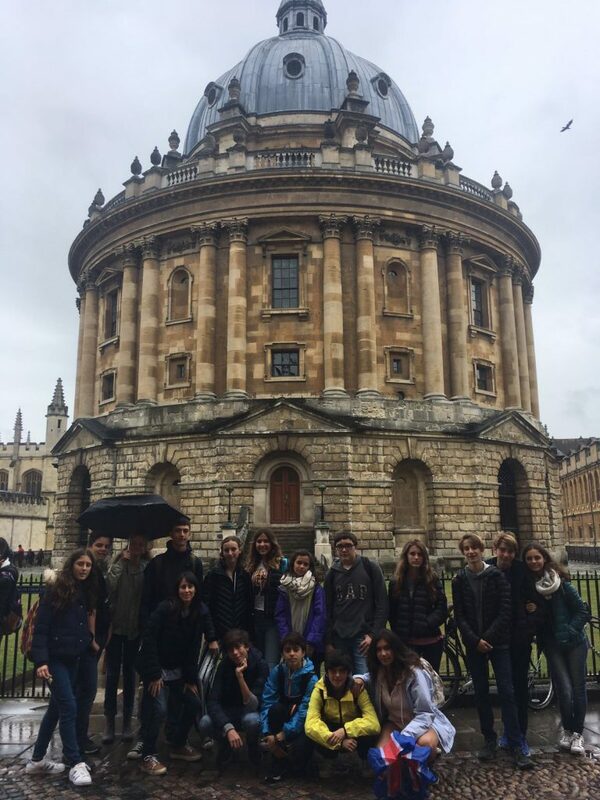 Today we made our way to the beautiful city of Oxford, otherwise known as the ‘City of Dreaming Spires’! 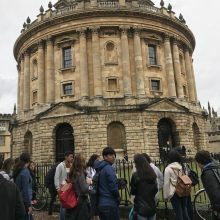 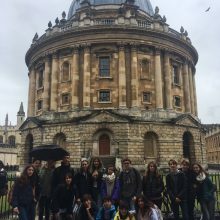 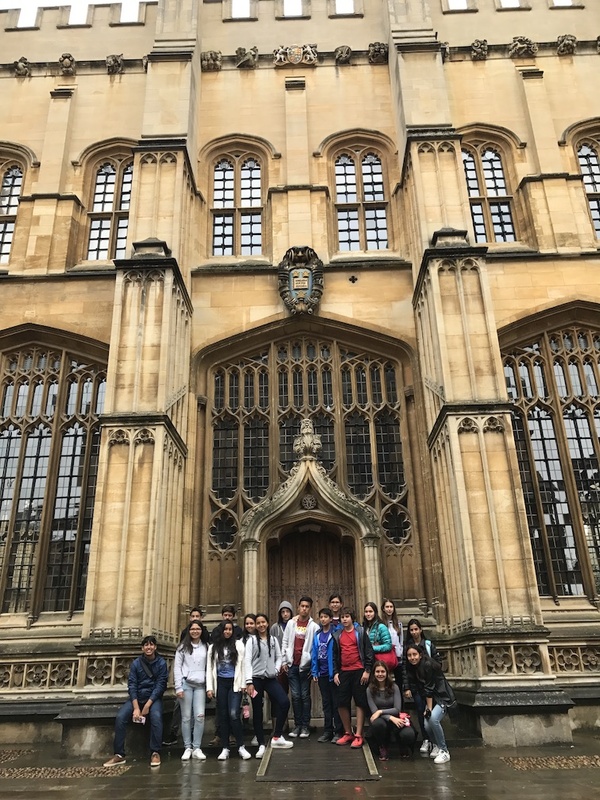 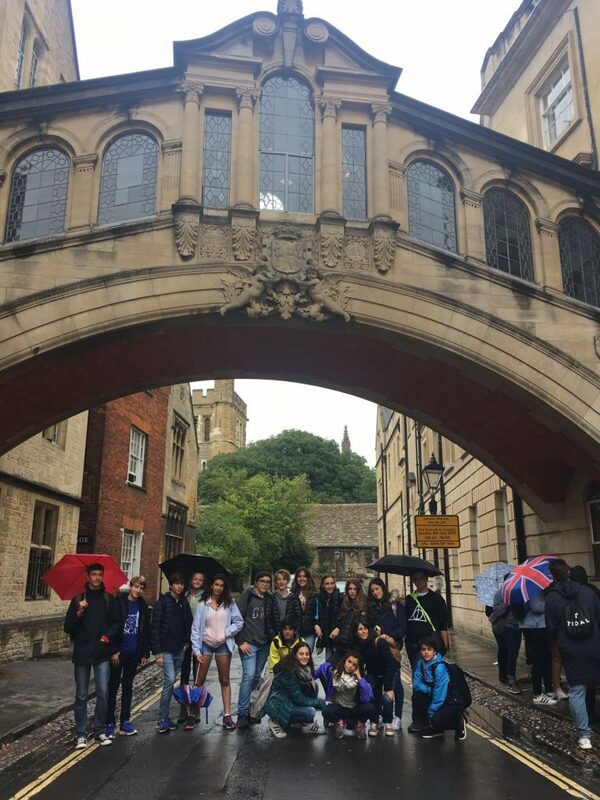 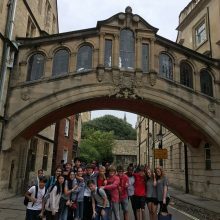 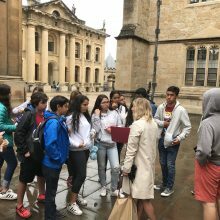 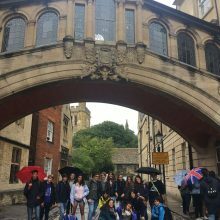 The typically British summer rain did not dampen any spirits today; we enjoyed exploring the cobbled streets, gazing at the impressive college buildings, and of course browsing through the many shops Oxford has to offer! 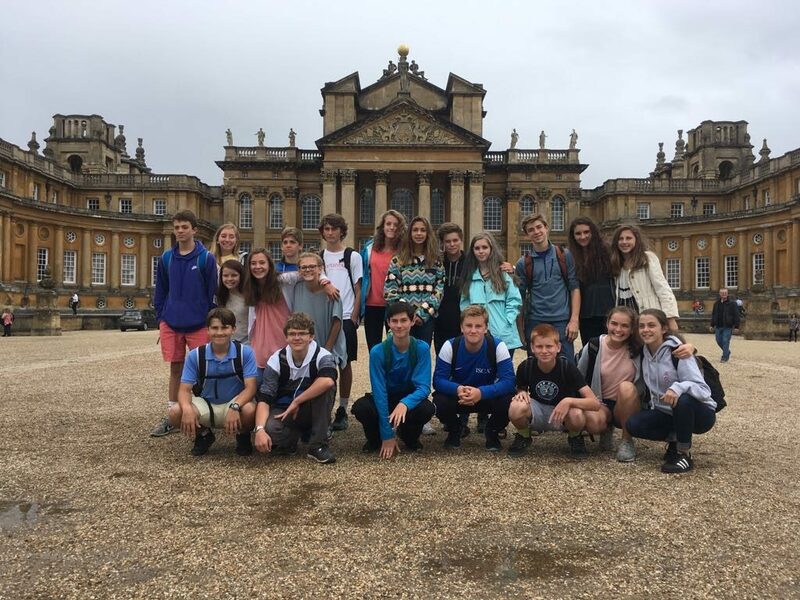 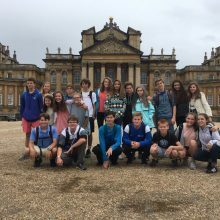 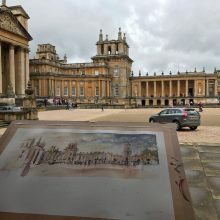 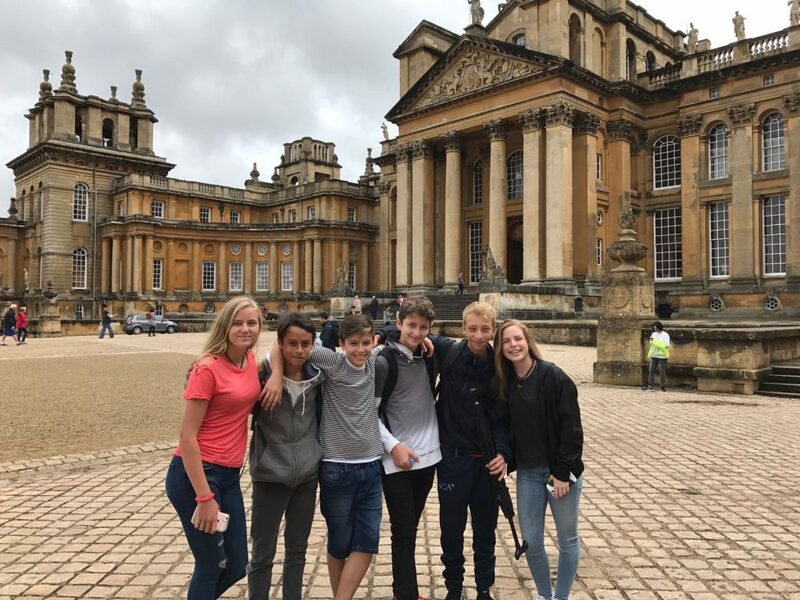 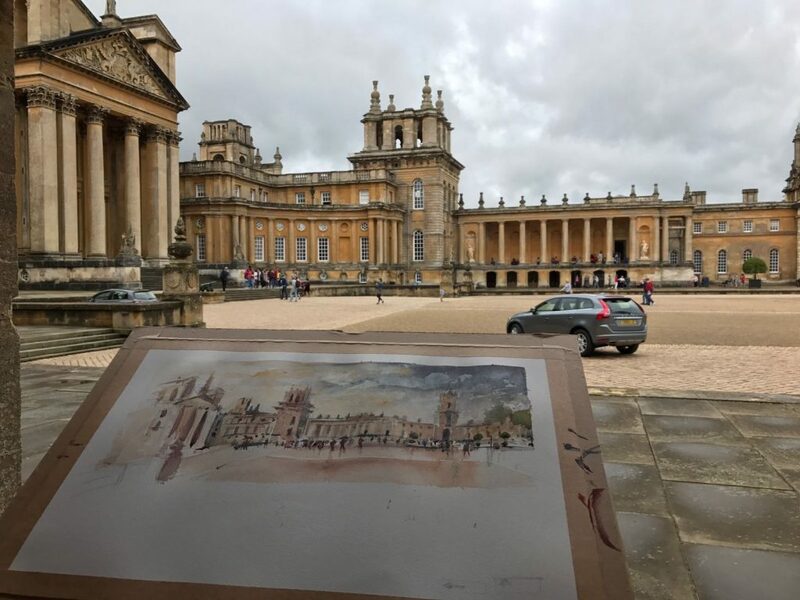 We spent half the day in the city centre with an excellent guided tour, and half the day visiting the incredible Blenheim Palace, home of the duke of Marlborough. 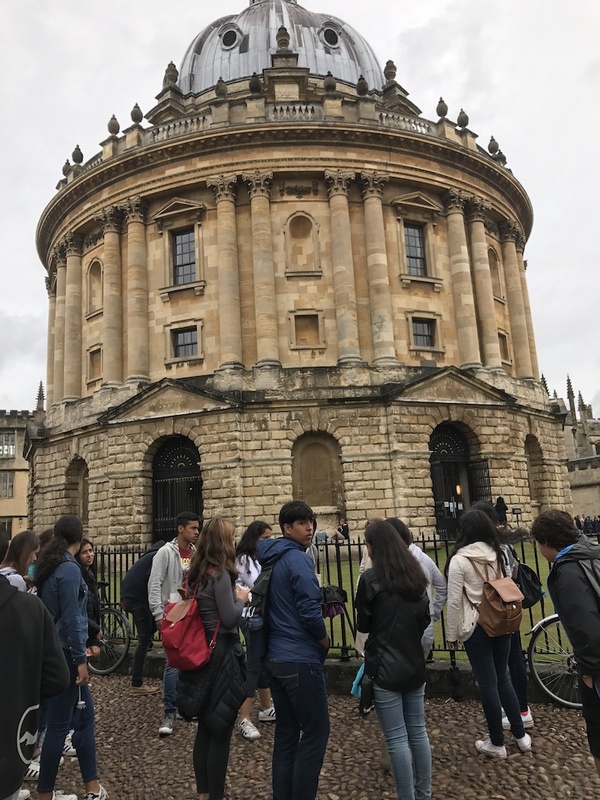 Oxford is most famous for the 38 colleges which make up Oxford University, one of the most prestigious universities in the world. 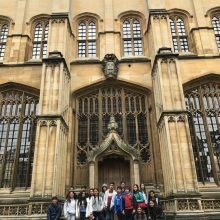 Our tour took us past some of the most famous colleges, which have educated a number of important individuals, including 27 prime ministers and 120 Olympic medalists! 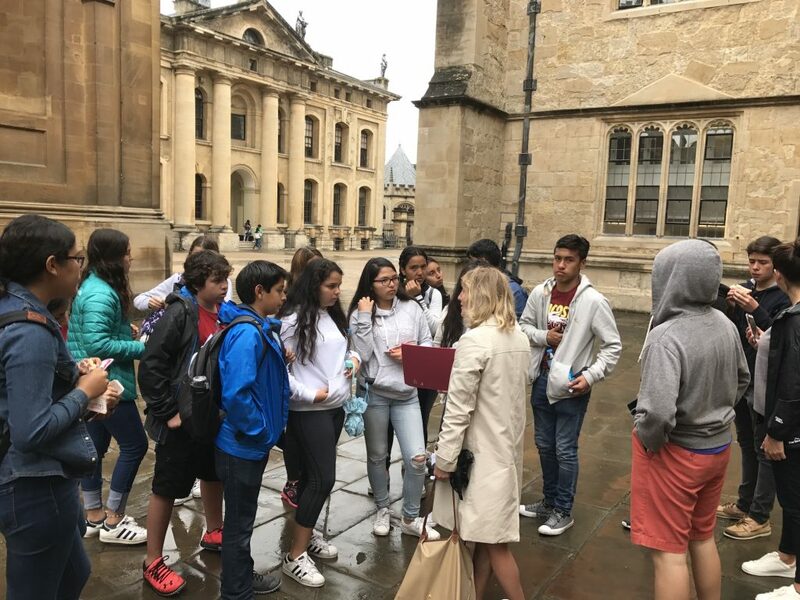 Other places our tour guide took us to include the Bodleian library, where a copy of every UK published book can be found (this equates to 500 kilometres of books! 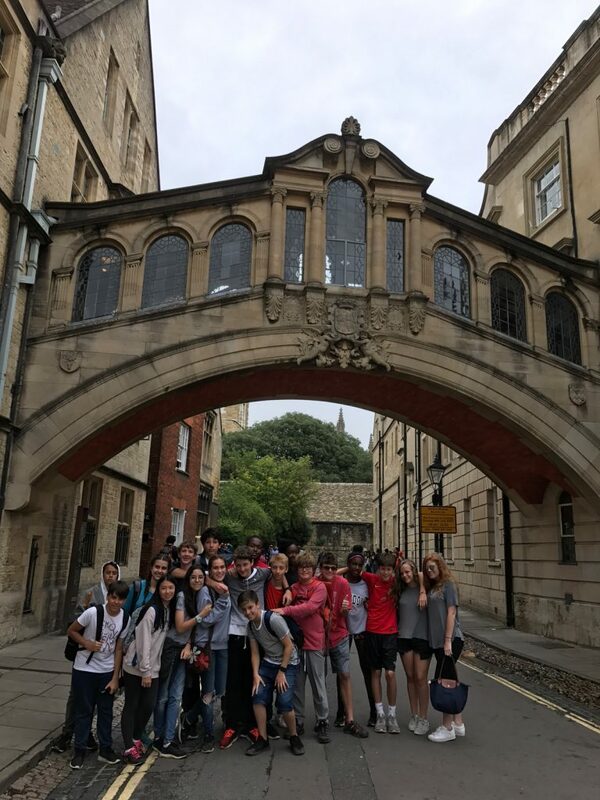 ), the beautiful bridge of sighs, designed to replicate the same bridge in Venice, as well as a walk through the covered market.After an insightful tour around Oxford, we made our way to the stunning Blenheim Palace, most famous for being the home of the Duke of Marlborough, as well as the birthplace of Winston Churchill. 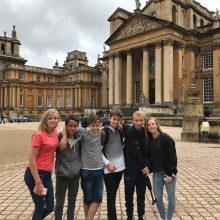 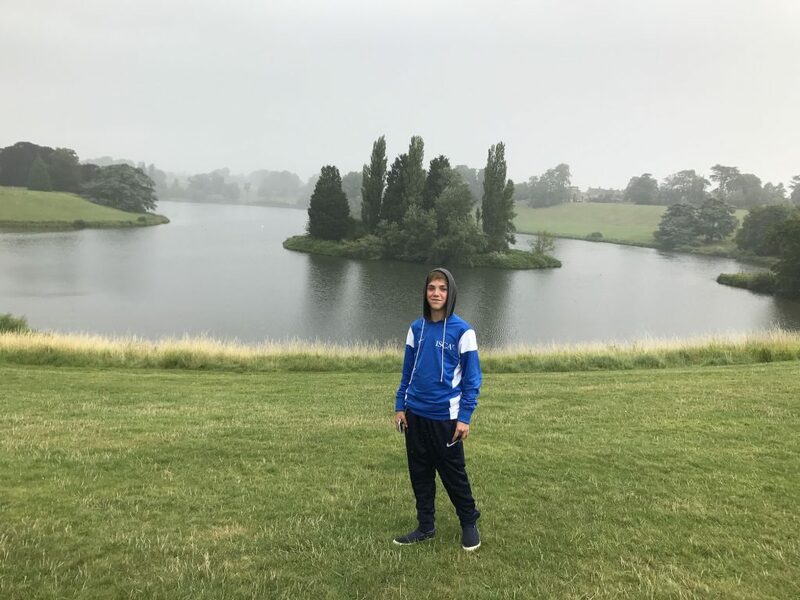 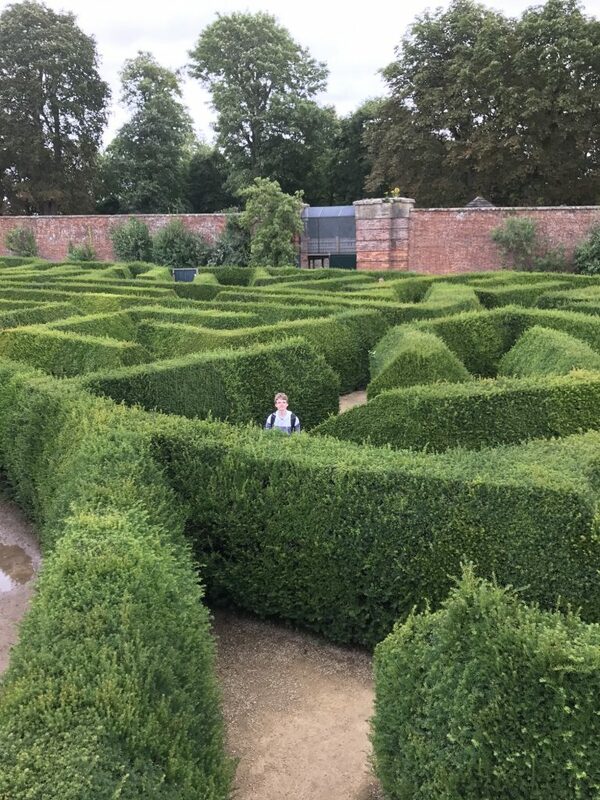 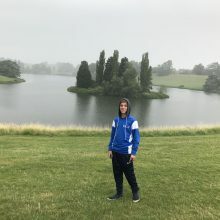 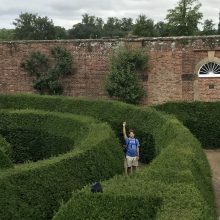 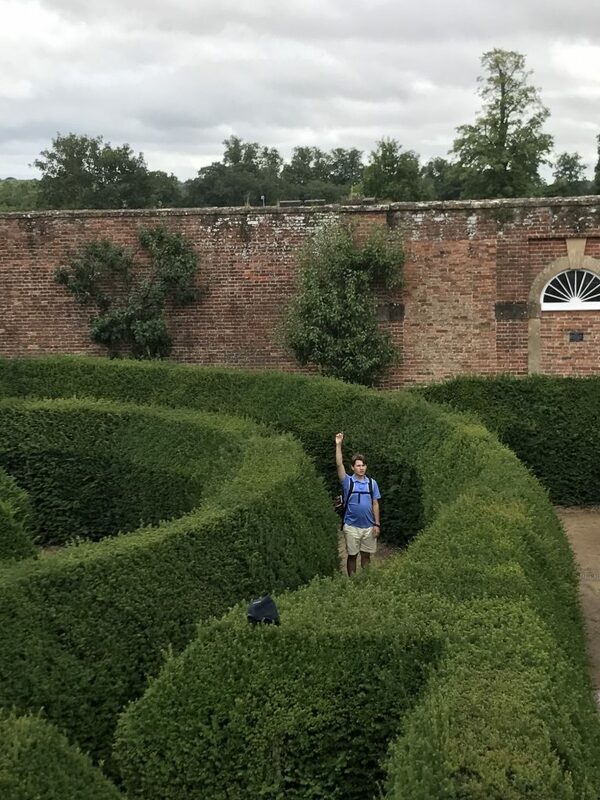 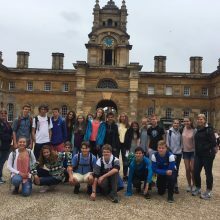 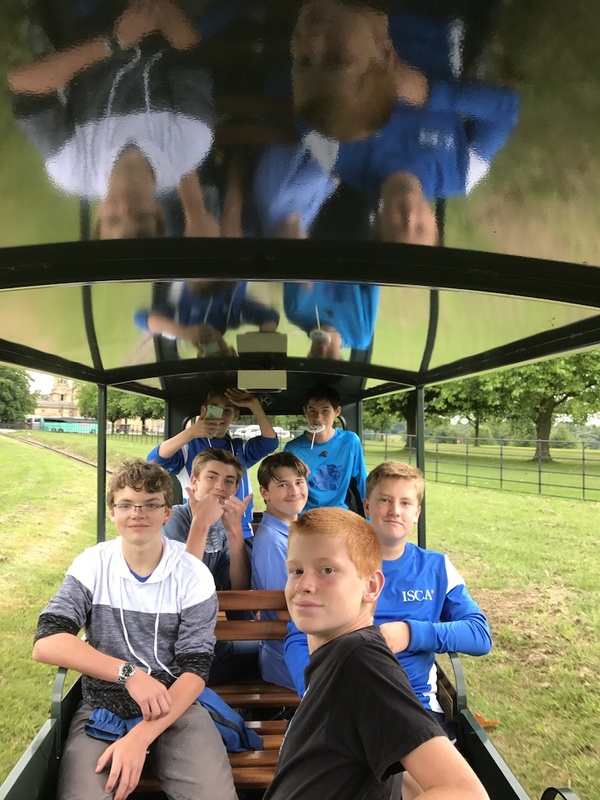 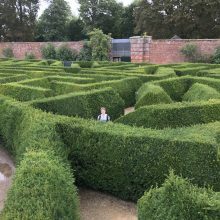 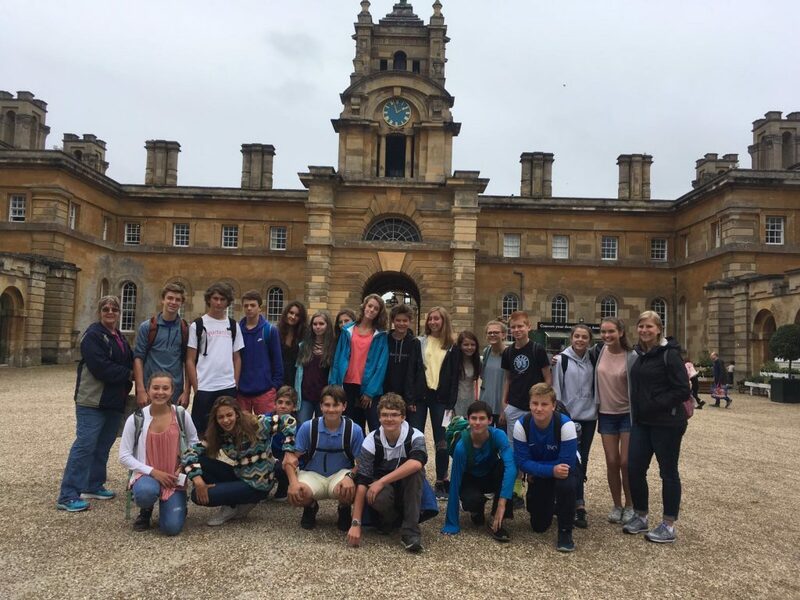 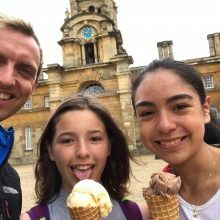 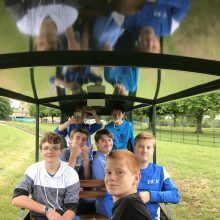 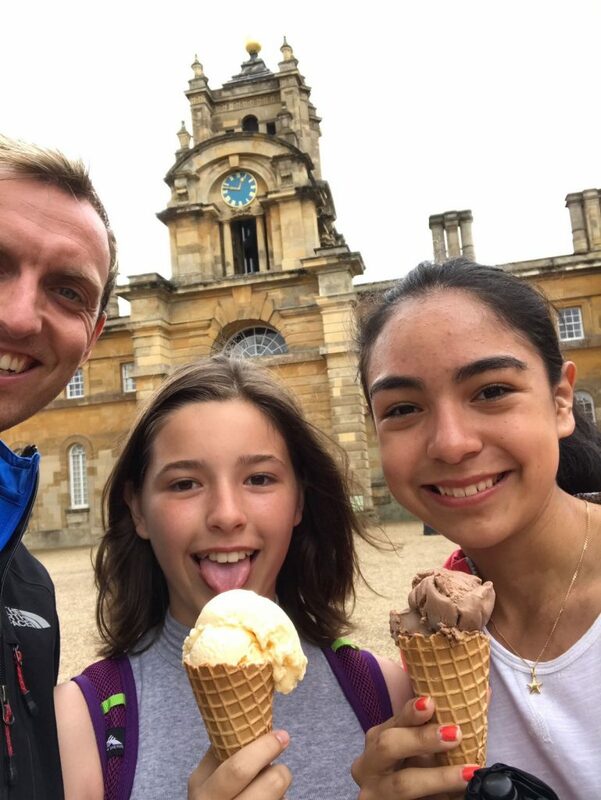 The children were given different trails to take them around the house, and the remarkable gardens including the butterfly house, the maze and a journey on the Blenheim palace train!We returned home after a long day excited for our next excursion! 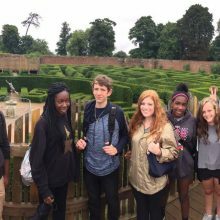 We will be headed to the Apollo Theatre for a performance of Wicked!